Beautifully decorated home with desert, mountain and sunset views. Gas fireplace in living room. Master suite has king bed with doors to patio and pool, jetted tub & Second bedroom has twin beds. Visit Findvacationrentals.com to search for, select, and book Scottsdale Arizona today! Hundreds of properties available for online booking in Scottsdale Arizona today! 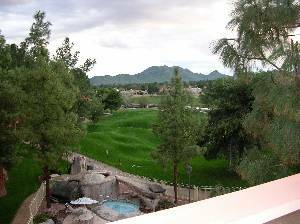 Interested in More Scottsdale, Arizona? Check out nearby Avondale , Carefree, Chandler, Mesa , Phoenix, Tempe.